The closest we came was some Arsenal footballers taking on a custom escape room for a Betfair advert. No soaps though. We’ve already had Never Give Up in Newcastle open and Crack it Bolton was announced – so a firm tick in the “achieved” column for this prediction. This was close but not quite there. Escape Hunt, Komnata Quest, Fox in a Box and Claustrophobia all looked set to open rooms but none made it by the end of year cut off. Exit the Room opening up in Manchester and Game Over opening in both Rochdale and Derby were the two real successes. Do I get to count Open the Door? Well, not quite – it was technically open in 2016 (albeit by less than a month). SCRAP, the original escape room company, came to these shores in July albeit only for three days and for a ball room game. All in all though, I’m feeling pretty good about this prediction – it missed but not by a mile. Three out of four aint bad. Looks like this will be spectacularly wrong, and if I had to be wrong about one prediction then this would most definitely be my choice. At the time of writing, I know of eighteen venues that have closed this year. Of those, half were always intended to be temporary rooms (Escape Mobile, clockwork Dog, Escape this Room and the Eden Project) and only two were what I would describe as the business hitting the rocks. The market still seems strong. This came true with ease – Kosmos launched six just on their own. Add to that Mattel’s Werewolf game, Unlock from Space Cowboys, Deckscape and even a birthday card! With ease – the E.R.I.C. in Nottingham saw around 150 people attend what was probably the highlight of the escape room calendar. Yahoo! It took us until the final week of the year but we just, just scraped over the line. The final count is 1005… Forgive me if I’m a little smug about that prediction! Well, it looks like I was far closer than I expected. Of the 11 predictions only four failed to materialise but, more pleasingly, there were several that were right at the cusp – 1000 rooms, four overseas franchises, 14 new urban locations. I’ve not decided yet whether I’ll make any predictions for 2018 but in the meantime – what do you think will happen this year? 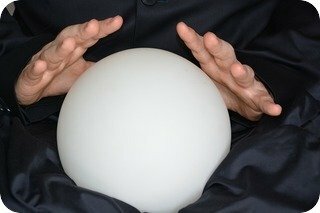 This site ran prediction features over the last three years, albeit penned (so to speak) by a different author, with varying levels of success. Time for this new author to put a stake in the ground so that in a year’s time we can look back and laugh at his naivety. It’s always hard to predict the future and even harder to put some level of certainty on those predictions but the following predictions are based on things that fall somewhere in the 50-75% likelihood range. In England: Basingstoke, Bolton, Carlisle, Cheltenham, Colchester, Luton, Northampton, Shrewsbury, Stratford-upon-Avon. At this stage, there are very, very few obvious gaps in the UK market. This site is aware of possible companies starting up in three of the above locations, but the rest have no activity. We’ve seen them appear on The Big Bang Theory, The Middle and various other US shows but it feels like they’ve become mainstream enough in the UK that they’ll appear in some context on a nationally-aired soap. The Apprentice: Creating their own pop up escape room would be a great set of property/production/marketing challenges with the opportunity to laugh at contestants for coming up with outlandish ideas or not understanding the solution to simple puzzles. 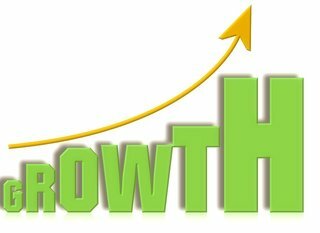 Dragon’s Den: Plenty of companies are looking to expand rapidly so perhaps one of the smaller players in the market will look for seed funding and a fair amount of exposure? TOWIE or similar: Want to see human interactions at their worst? Then throw people who don’t get on well into an escape room. Boda Borg’s recent expansion to Boston is proving popular while the Crystal Maze has shot to success in London and has a new location opening in Manchester. It seems almost inevitable that a company such as Boda Borg will attempt to expand into the UK. It’s hard to predict which companies might find these shores attractive, but it feels like that at least a couple of the Russian franchises will choose to target the UK and Escape Hunt making a reappearance seems almost inevitable given its recent acquisition by a UK-based holding company. Perhaps SCRAP will see fit to bring one of their games across from the US or one of the other major US players will put some feelers out on this side of the Atlantic (where Escapology from Florida seems like a good bet). We’ve had a couple of Hallowe’en escape rooms open in the past in Alton Towers and Thorpe Park but this year feels like the one where they’ll go mainstream enough to open a permanent attraction. Escape currently have 30, Clue HQ are on 28, Locked in a Room have 21 and The Escape Room have 19. It seems just possible that one of those (or maybe as a long shot, Escape Reality?) will open enough venues to pull themselves across the line. 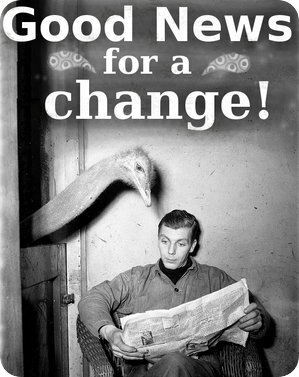 It can’t all be happy news, not that all closures are necessarily unhappy. We’ve seen around 20 venues shut their doors in 2016 but as the market hots up and the big players start throwing their weight around, this site expects to see a few companies decide to close the doors. Some will be sudden closures but I expect a fair number to just see out the end of their leases and then call it a day. With ThinkFun’s offerings proving reasonably successful and various other companies getting in on the act in 2016, it feels likely that the trend will expand in 2017 with new versions from the existing companies but also brand new companies piggy backing off the existing success. 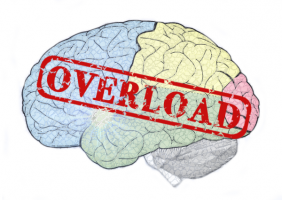 Specifically, not an escape room experience but some sort of event that is aimed at owners and enthusiasts – a conference or unconference or just some sort of fun meet up. The UK unconference in London in July of last year saw around 50 people gather and next week’s looks likely to have around 70 so, assuming expansion continues and a suitable venue can be found, it seems reasonable to assume the industry can bring together 100 people. 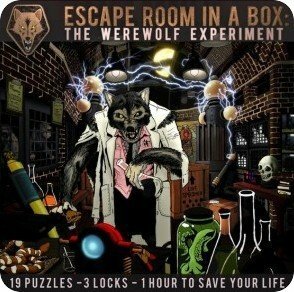 1000 escape rooms across the UK and Ireland. Yes, One thousand. Last year saw the market more than double. I think we’ll see a similar level of new rooms opening but I think we’ll also see a huge number of rooms closing with the result that we’ll just scrape over the line in the last quarter. I don’t think the market will quite have peaked and I certainly don’t expect the bubble to burst. Sadly, for enthusiasts, I suspect a significant proportion of those games will be franchises expanding across the countries so there won’t be anything like as many as 1000 experiences. Perhaps “just” 700? This industry-wide call to arms has kindly been written by Del from Breakout Manchester and Liverpool, to whom questions should be directed (see below for details!) but everybody is welcome to join in. Exit Games UK finds the idea of a focused, cross-site, charity initiative extremely promising and exciting, even if it might take a good chunk of planning ahead to execute to its full potential. The exit games industry is such an exciting place to be for all involved. Customers love doing something different with their day, they like being challenged, they like feeling accomplished. As the company bringing them that, it is genuinely heart warming to be part of that experience and get to share that buzz with them. Because of all this excitement around what we do with our various companies, it gives us the opportunity to help people outside of providing them an hour (or hour and a half, as is the case with some of your games out there) of entertainment. 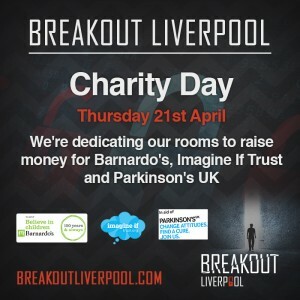 I don’t know about other companies, but at Breakout Manchester and Liverpool we are always receiving emails from local charities and fundraisers asking if we can donate a game for a raffle or auction as it’s something different to offer people and drive the interest up. There are obvious parameters we have to set, but on the whole we can agree to these requests and help the people these charities are supporting with their time and often limited resources. In 2015, Breakout decided that we could do more than provide free games and having donation pots in our reception area. We contacted some local charities and game them our rooms for a day. This altered nothing from our end of the arrangement as these would be running anyway, we just took them off the booking system, told the charities our prices and let them book the slots themselves and take the money we would have received as a direct donation. The sales from any games we sold ourselves got donated to the charities. It wasn’t without its problems, as no first time event ever is, so we addressed these and addressed these and created a charity evening 6 months later, working with only one charity this time in Manchester and several in Liverpool. We’ll continue this biannual charity event, because it’s great to give something back to the communities that support us in whatever way we can. BUT, for this April, we’re proposing something different. We’ve decided to go NATIONAL. We want to see if you other exit games in the country want to join us, on Thursday 21st April, in giving some or all of your games to charity with us… We’re working with The Christie (a cancer specialist hospital charity) and Joining Jack (Duchenne Muscular Dystrophy) in Manchester and Imagine If Trust (fighting poverty through education), Barnardo’s (helping vulnerable children and young people) and Parkinson’s UK (supporting and funding better treatments for Parkinson’s), but ultimately this event could benefit any charity of your choosing. The groups we’ve worked with have been so happy about being involved in the event and being able to offer a distinctive product in exchange for donations. They’ve sent us buckets, balloons, T-shirts, stickers for the day and they’ve even come along to be part of the greeting team for customers and give a big thank you to them. The customers are happy as well, as they get all the benefits of playing a game whilst also knowing their money is going somewhere worthwhile. 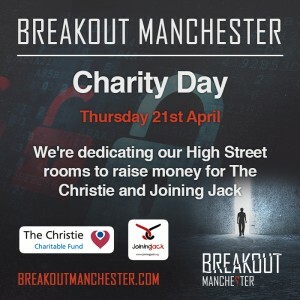 If you’d like to join us, give us a shout on hello@breakoutmanchester.com, let us know who you’re supporting and definitely let us know of any interesting plans you have and how you get on. Feel free to contact us with any questions as well! Can’t wait to hear from you and build our community further. Here are a selection of stories that will hopefully put a smile on your face. Just think about the people involved and the smiles that must have been on their faces! First to Puzzlair of Bristol, who are celebrating John’s proposal to Claire. May all their escapes be great ones! It seems almost disrespectful to focus on more than a single couple’s big day, but more and more sites are hosting these happy occasions, and also sharing the good news is Escape of Glasgow. This time it was Annie who proposed, and thanked Nick and Kim at Escape on Twitter for their help. The Escape team went on to post further details of the happy event. So this story is almost telling a story of the progression of a relationship. One happy step further down the line for some relationships is a fifth birthday party; for one here, we have to go to Locked In Edinburgh. The event they describe sounds wonderful here, whether celebrating a fifth birthday or a fifty-fifty birthday. Perhaps your five-year-old will grow up and start their own business. Perhaps their business will win an award, as in this happy story as Can You Escape? of Edinburgh celebrate their victory in the Best-Performing Business (1-10) category at the Edinburgh Chamber of Commerce awards. Congratulations and here’s to many more! The Escape chain has been expanding steadily southwards, Edinburgh and Glasgow to Newcastle and now Blackpool. (They have good business in other countries too, notably the Dublin site in Ireland, among others.) The site will be opening on Leap Year’s Day; by tradition, of course, this is the single day every four years on which the site gets to escape the players, rather than the other way around. Exit Games UK has always thought that Blackpool was a market with excellent potential and Clue HQ seem to have done well already. The Escape location is central to the town, very close to Blackpool South train station and opposite a branch of KFC. 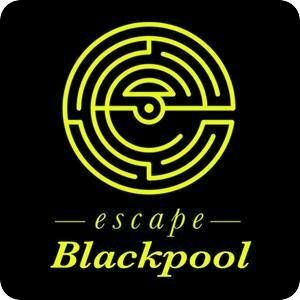 Escape Blackpool is launching with three games, each of which takes two to five players and has a 60-minute time limit. Exit Games Scotland point out that the games represent the best of both the Edinburgh and Glasgow branches of the Escape chain. Games start on the half-hour between 9:30am and 10:30pm seven days a week: nine games of Taken, nine of Contagion and eight of The Da Vinci Room. (There’s probably wiggle room in the schedule, by arrangement, if two teams want to race against each other and start at the same time.) The tariff matches the Escape UK standard: £66 for a team of 3-5, though couples can apply a code to play for just £48. The site’s Twitter account has posted a code for a 25% discount for a limited time and a quick search reveals no social buying deals yet, so this might be the best time to get involved.